It is fair to say that anyone who gets propelled into the celebrity spotlight at a young age is at risk of developing some bad habits. 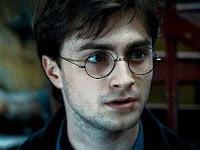 As was the case for world superstar Wizard Harry Potter played by 22 year old Daniel Radcliffe. Daniel Radcliffe admitted he was drunk while filming some scenes for the "Harry Potter" movies. He claims that at that time in his life he was drinking "nightly," he said in an interview. "I have a very addictive personality. It was a problem. People with problems like that are very adept at hiding it. It was bad. I don't want to go into details, but I drank a lot and it was daily -- I mean nightly," Radcliffe said to British celebrity news magazine Heat. "I can honestly say I never drank at work on 'Harry Potter.' I went into work still drunk, but I never drank at work. I can point to many scenes where I'm just gone. Dead behind the eyes," the 22-year-old actor said. Radcliffe came into the spotlight at the young age of 11, now 11 years later he is known by millions across the world. Daniel, like many other child stars, clearly turned to alcohol to help cope with the load of pressure he must constantly endure. Hopefully, the actor will be able to adopt some healthier practices for coping in the future before there is a serious problem.